Saint Leonard’s Day 2017 Celebrated in Style! 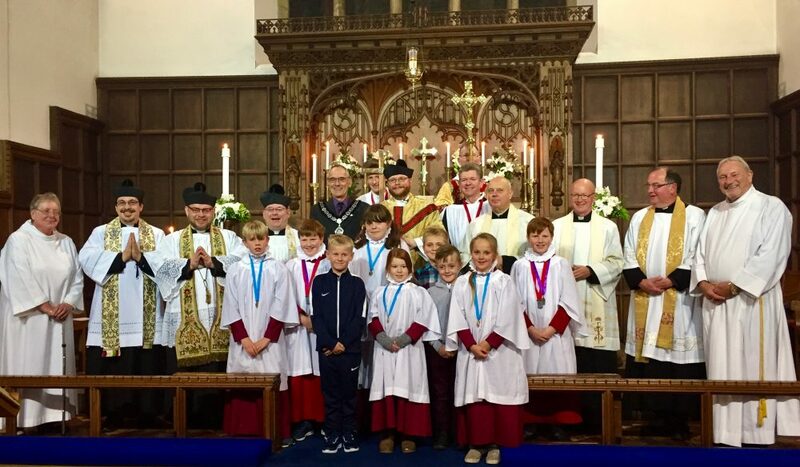 On the evening of Friday 3rd November 2017, a congregation drawn from across East Cleveland and Teesside came to Saint Leonard’s Parish Church in Loftus to celebrate Saint Leonard’s Day! Regular members of the church community were joined by the Mayor of Loftus, alongside clergy and people visiting form a number of other local parishes. The guest preacher this year was Father Michael Gobbett, the Rector of Whitby, on his first visit to Saint Leonard’s Church in Loftus. Saint Leonard’s Church Choir ably led the singing and the organ was played by our Director of Music Richard Bendelow.